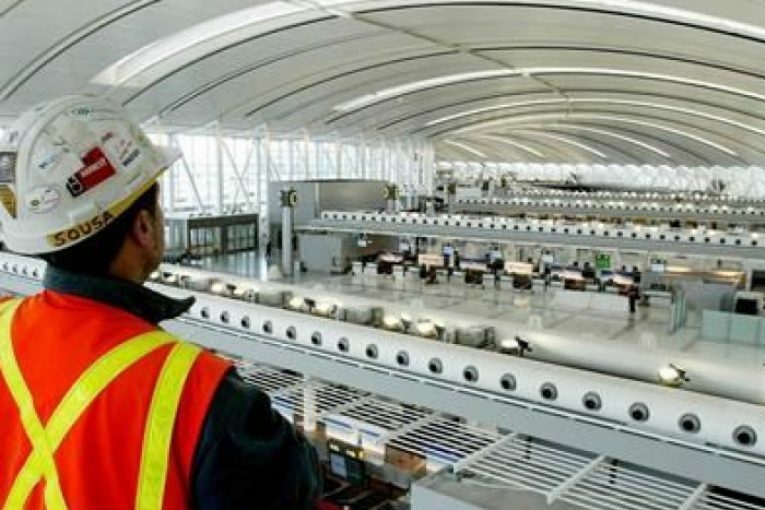 Canada’s construction industry may soon have a better idea of how attractive it is to the increasingly globalized building sector as one of its biggest catches sits on the auction block awaiting bidders. Toronto-based Aecon Group Inc. is in the process of courting suitors after it put it itself up for sale Aug. 25, a move analysts say will draw players across Europe, the U.S. and China looking to size up the company’s — and Canada’s — potential. In its 140-year history, Aecon has been involved in landmark construction and engineering projects, including the CN Tower, Vancouver’s SkyTrain and the Halifax Shipyard. It currently has major contracts for Toronto transit and nuclear refurbishment, among others. However, analysts say its value has taken a major hit from the drop off of energy and mining projects due to a commodities downturn in recent years. Aecon’s share price has plunged 23 per cent in the past year alone to hover around $14 just before it announced it was weighing its options. “The Canadian construction sector is for sale right now, it’s pretty cheap,” said Frederic Bastien, an analyst at Raymond James. Bastien said there’s only a handful of companies globally that could make a serious bid for the company and that it would likely cost at least $1.5 billion to take it over. Interested parties could include Spain’s ACS Group, U.S.-based AECOM and Italian firms Astaldi and Salini, he suggested. However, he added, any firms looking to bid on Aecon will be making a bet on a recovery in the resource sectors, as well as banking on an increase in government infrastructure spending. The federal government has been looking to give the construction sector, and the economy, a further boost with promises of $180 billion in infrastructure spending over 12 years, but analyst Mona Nazir at Laurentian Bank Securities says the initial excitement has worn off as the spending has been slow. She said the proposed $35 billion infrastructure bank, while also slow to get going, could speed up projects once it gets established, while the impact of the hit to commodity prices is starting to dissipate. CIBC analyst Jacob Bout added Germany’s Hochteif as a possibility, but noted big international construction firms have become more focused on the U.S. market as it heats up, while also adding that Canadian regulators might not be so welcoming to Chinese interests. AltaCorp Capital analyst Chris Murray speculated in a note that some of the most likely buyers are those who have already worked with Aecon, like U.S.-based Kiewit Corp and ACS Group. He said he doesn’t see Canadian companies like SNC-Lavalin, WSP Global or Stantec making a run for Aecon because they’ve been increasingly turned focus to pure design work and away from construction, though at least one domestic company, privately-held construction firm Beattie LP has expressed an interest. Murray said he expects to see strong interest for the company based on Aecon’s record backlog of projects, its very strong positioning in Canada and expectations that the country will remain one of the most robust infrastructure markets globally.